“A picture is worth a thousand words and it is especially true in crime scene photography.” Photography is the basis of all crime scenes and is carried out on priority. Photographs and crime sketches are the most effective and simplest way to represent a crime scene by the Investigating officer. They are most useful in supplying significant bits and pieces with exact measurement of the site and evidence where the crime has occurred. The purpose of crime scene photography is to provide a true and accurate record of the crime scene and physical evidence present by recording the original scene and related areas. No matter how well an investigator can verbally describe a crime scene; photographs can tell the same story better and more easily as it freezes time and records the evidences. Forensic photography is an integral part of trial. And the judgement often is based upon crime scene photographs to prove prima facie evidence. Photography of everything from landscapes to historical events has preserved and illustrated history for the past 200 years. When a photograph of a forged document was presented and allowed as courtroom evidence in 1851, photography as a forensic investigative tool was born and soon became a boon to cases of identification and scene analysis . Crime scene photography became cutting edge in the 1870s and new technologies have expanded its use ever since. Photographs provide investigators and others with a permanent visual record of the scene that can be analyzed or examined for later use. It provides accurate measurements and distances among objects, which is lacking with sketches. Photographs are imperative in court hearings and trials as it provides the judge as well as the jurors with a permanent visual record of the scene and evidence that were collected. Regardless if a scene has been videotaped, still photographs are a must at every crime scene. Although videotaping does record everything, photographs can demonstrate certain things such as direct comparison. Photography should always be employed when it is desired to obtain absolutely objective, permanent and easily controlled proofs capable of bringing about conviction. It may then be said that photography may be employed every time that there is room to suppose that the camera sees further than the eye, or, if it does not see further, each time that an object should be fixed for future reference . To obviate any apparent untruthfulness in the photograph due to the optical limitations of the lenses used, or for any other reason, scrutiny of photograph taken at the scene of crime should be made in conjunction with a scrutiny of a plan made of the locus of the crime. This article focuses on the importance of photograph and why they must always be taken in every case where they are likely to be used in the furtherance of the solution of a crime . The first step is to provide an initial appearance of the crime, e.g. the position of a body, the position of weapons, the size & shape of injury marks etc. Second, to record an aspect of the crime which cannot be preserved in its primary state e.g. skid marks etc. and to provide a means of illustrating evidence in the court of law. Lastly, to make visible certain aspects of evidence which cannot normally be seen by the human eye such as any abrasions on the body of the victim like bluish bruise, ante-mortem defence wounds, secret writings etc. There are quite a number of cases in which photography is useful to assess an object's position and location and its relation with respect to other objects is difficult or impossible to explain; e.g. in the case of an accident supposed to have been caused by a criminal hand but which cannot easily be explained in its entirety, the photograph of the scene of the accident may be able, perhaps at once, perhaps later, to furnish the desired explanation. When conclusions may be drawn from that position without having sufficient proof for doing so at one's disposal and finally when it is a question of the appearance of wounds, writings, results of arson etc. Photography sometimes show marks on the face, e.g. on the cheeks, which are not noticeable naturally. These are old injuries which the lapse of years has rendered invisible to the eye, but they have left blemishes which can be clearly brought out by photography . Colour photography of injuries to the victim, showing their shape, position, size, whether they are fatal or defence wounds, are of incalculable value to the investigating officer. It is difficult to submit large surfaces to chemical and microscopic examinations but if they be photographed perhaps the places where marks exist will be discovered and the particular spot once found, microscopic and chemical examinations may be proceeded with. Photography is also able to detect various kinds of ink which may have been employed in this way we are frequently able to prove a forgery. Work is enormously facilitated by making photographic enlargements of the 2 writings. After a long examination of writing especially very small writings the sight becomes confused, so that it is difficult to see things clearly. The indentation on paper may also be seen using photography in oblique lighting. Also, latent fingerprints can also be photographed in UV and IR lights. Lighting techniques and photography go hand in hand forensically. Similarly, for fingerprints also, photography is the best way of preserving evidence. Visible fingerprints can be photographed alone instead of lifting prints. Latent prints are photographed first followed by developing techniques such as: powder dusting method, or SPR suspension method  etc. and patent prints are photographed alone for preserving prints. Thus, it is possible to reduce the chances of forgery going undetected and genuine points of resemblances may very accurately be compared and support witness testimony in the court of law. The latest development of science in allying UV rays and IR with photography have opened up enormous possibilities in criminal investigation. Much laborious work previously necessary can be avoided and much that would otherwise have been impossible can be accomplished. The use of digital cameras allows a crime scene photographer to instantly review their photos and make changes to the camera settings if needed to capture the best possible image while still on the scene. Critical thinking skills and analysis are constantly applied during the scene documentation process. The point of entry and exit should be shown in such a manner that the marks of force will be shown clearly. A scale should also be visible. When photographing the interiors of room with a 35mm DSLR camera, use a normal lens (45mm to 55mm) instead of a wide angle lens . A wide angle lens creates distortion, especially when close up photographs are taken because then the distance between objects appears to be greater than it actually is. The camera should be held with a vertical format and overlapping photographs should be obtained. A vertical format insures that the scene will be observed from the top of the walls to the floor. Sometimes environmental factors such as rain, snow or traffic can make conditions difficult for photography. Therefore, photographer must work quickly to capture as much visual documentation as possible from a deteriorating scene. Special imaging techniques and lighting should be used to capture things like fingerprints, indentations, shoe and tire track impressions, vehicle identification numbers and very small pieces of evidences. Alternate light sources (ALS) such as lasers, blue or green lights and colored filters that help detect processed latent fingerprints or other hidden evidence and illuminate for photographing. Oblique angle lighting- using a flashlight, camera flash or ALS at a very low angle to cast shadows that allow an imprint or impression to be photographed. Macro lenses can take very close up images (1:1 or 1:2) of small items such as tool marks or trace evidences. Photographs should accurately document the lighting conditions at the scene. After those photos are taken, if necessary, a photographer will add artificial light, like a flash, to compensate for a camera's limitations in capturing the visible range of light under certain conditions . Judicial authorities were quick to realise the value of photography immediately after its discovery and today well equipped photographic departments capable of undertaking all kinds of photography some of it of an advanced nature, are an integral part of all the larger police forces. Judicial authorities were quick to realise the value of photography immediately after its discovery and today have well-equipped photography labs with all modern facilities. Crime scene investigation begins with photographing each room at the scene by clicking as many photographs of the corpus delicti and keeping the best ones out of a set of clicks for future reference. With latest high-end DSLR cameras, taking many shots and selecting best ones later has come handy. Interior photographs depicting the conditions of the room, articles left at the scene, trace evidence such as cigarette butts, tool marks, impressions of shoe prints and blood stained soil samples left behind, signs of activity prior to the occurrence, such as the telephone receiver off the hook or wires cut, playing cards orderly stacked or scattered, TV and lights turned on, food in cooking stages, coffee cups, drinking glasses or liquor bottles, time watch and clock stopped should be recorded on film for later reference. In general, articles apparently in use immediately prior to the commission of the crime or which appear to have been disturbed from their customary position should be photographed. Images must be recorded in an unalterable, archival form soon after the records are created. To ensure this, a hash value should be created for the CD-ROM as soon as it procured by the IO and a copy of this CD should be prepared for further examination. This hash value may later be compared with the hash value of the CD copy to verify that no modification, alteration, edition or deletion has been done after the file was opened at the lab for examination . This way the authentication and veracity of the CD or precisely the photographs it contains is done. (This method is especially helpful in cases where the alleged accused may try to manhandle the CD or bribe the expert, after confiscation of such digital evidences). The digital photographs should include information regarding their creation such as the camera's make, model and serial number, camera settings, and the date and time the image was captured. So that any modification or morphing tried to be done on pictures may be detected. The agency must control chain of custody of all image and record logs at all times. This requirement ensures someone can testify about who had access to any image used to support testimony as evidence. The use of unalterable media for storage, along with a separately managed index for each unit, helps ensure the integrity and reliability of information in the court of law. Lastly, all agency personnel who prepare exhibits for court should be trained in digital image processing and should understand which images might require a special notation to show that the changes are not prejudicial. Following these simple steps may ensure the authenticity and genuineness of the digital photographs and may prove productive and useful evidence to back witness testimony in the court of laws. The photographs were not considered evidence in themselves earlier but to provide visual documentation of the scene and locations of the evidence within the scene. Photographs taken at the crime scene allowed the IO to recreate that scene for later analysis or for the use in the courtroom . The two most important aspect of photography are use of digital camera equipments and training or skill of photographer. Since, cameras cannot produce the same view that the human eye sees; it is the photographer's use of the camera settings that can affect what can or cannot be seen in a photograph. Therefore, a trained photographer recognizes difficult lighting situations and adjust the camera settings accordingly. While, by following the guideline for accuracy and integrity of a crime scene photograph, it shall become admissible to be presented in court of law. Robinson, E. "Crime Scene Photography", Second Edition, Elsevier Academic Press, Burlington, MA (2010). Hans Gross. 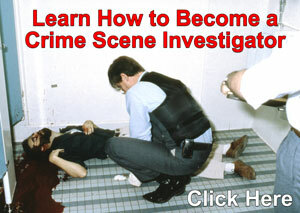 Criminal Investigation: A practical textbook for Magistrates, Police Officers and Lawyers. Fifth Edition, Universal Law Publishing Co.Pvt.Ltd. (2000). 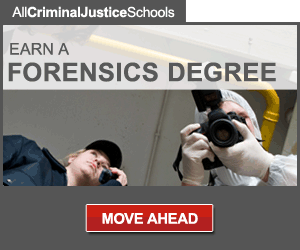 Crime Scene Photography Requirements of Criminal Investigative Analysis Behavioral Science Investigative Support Unit FBI Academy Quantico, Virginia 22135. Upadhyay S and Singh S K Video Authentication- An Overview International Journal of Computer Science & Engineering Survey (IJCSES) Vol.2, No.4, November 2011.